Lagos State Governor, Mr. Akinwunmi Ambode (middle), with Dean Emeritus, Church of Nigeria (Anglican Communion), Most Rev. Adebola Ademowo; Deputy Governor, Dr. (Mrs.) Oluranti Adebule; Chief Imam of Lagos, Alaji Garba Akinola and Prelate of Methodist Church Nigeria, His Eminence, Dr. Samuel Emeka Uche during an Inter Faith Parley with the Governor at the Lagos House, Ikeja, on Wednesday, December 21, 2016. 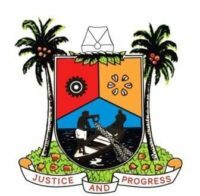 Lagos State Governor, Mr. Akinwunmi Ambode on Wednesday said the guiding principle of his administration since inception has always been the implementation of policies and programmes that would engender true happiness and make life more simpler and comfortable for the people. Governor Ambode, who spoke at a stakeholders’ meeting with religious leaders held at Lagos House in Ikeja, said all along, the State Government under him, has worked assiduously to scale up the provision of critical infrastructures that would bring comfort to the people, assuring that such remained a priority. He urged religious leaders in the State to use the Pulpit, the Mimbar and other platforms to preach patience, perseverance and tolerance amongst all Nigerians, and also pray for the success of not just his administration but the overall development of the State. The Governor said as the closest to the people, religious leaders are partners in the development of the State, and encouraged them to use their God-given positions to positively influence the people to always do the right thing. 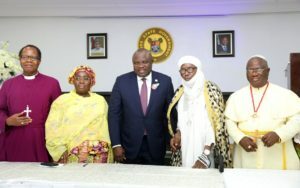 Governor Ambode, who commended religious leaders for their prayers and support for his administration and the State Government, said it was on record that Lagos has the best level of religious tolerance in the country, and that it was a thing of joy that in spite of the challenges in the nation, God has continued to guide and direct the affairs of the State. The Governor also recalled the role played by religious leaders in the process that culminated in his emergence, saying despite all odds, God in His infinite mercy, chose him as Governor, and that as a person, he has decided only to do things that would please God and bring true happiness to the people. “Since our last meeting, we have made remarkable progress in all spheres of the State economy. Majorly, we have achieved a year round peaceful coexistence amongst the various socio-religious groups in the State. We have also been able to record improvement in security of lives and property in the State. “It is on record that with your support and high level of understanding, Lagos State has the best level of religious tolerance in the Country. We must however not rest on our oars,” Governor Ambode said urging religious leaders to use their various platforms to preach patience, perseverance and tolerance amongst the people. While urging religious leaders to continuously preach to the youths to shun all forms of unwholesome practices, the Governor said it was important for them to impress it on residents to always fulfill their civic responsibilities to enable government deliver on its promises. On efforts of government to encourage peaceful co-existence and harmonious relationship among people of different religions in the State, Governor Ambode said arrangement has been concluded to decentralize the Nigerian Inter-Religious Council (NIREC), which is a body set up to resolve all religious conflicts under the supervision of the Ministry of Home Affairs. Already, the Governor said he has approved the establishment of NIREC offices in all the 57 Local Government and Local Council Development Areas of the State, adding that necessary machineries have been put in place towards the inauguration of the offices in January 2017. The Governor said the meeting was part of engagement with strategic stakeholders in the tasks of ensuring continued peace and religious co-existence in the State, just as he assured that government would work harder in 2017 to scale up development, but religious must keep their side of the bargain as the government alone cannot do it all. In his presentation, Prelate of Methodist Church Nigeria, His Eminence, Dr. Samuel Emeka Uche commended Governor Ambode for the stakeholders’ forum and infrastructural development of the State, saying that such forum was important for religious harmony. Also, Imam and senior lecturer at the Department of Actuarial Science, University of Lagos, Dr Tajudeen Yusuf commended the Governor for the 114 roads initiative, the Rent-To-Own Housing policy, prompt payment of salaries of workers, among others, but urged that more should be done with regards to inculcation of entrepreneurial skills on young ones right from primary school. “Governor Ambode has brought true governance to the people. The Rent-To-Own policy for instance where quality houses can be gotten at very reduced prices is a good programme, among many other initiatives,” Yusuf said. While lauding the Governor for the meeting, Yusuf also tasked religious leaders to always preach peace, love, tolerance and togetherness, among others. Some of the revered clerics present at the meeting include Dean Emeritus, Church of Nigeria, Anglican Communion, Most Rev. Ephraim Ademowo; Lagos State Christian Association of Nigeria Chairman, Apostle Dr. Alex Bamgbola; Chief Imam of Lagos State, Sheikh Ibrahim Garuba Akinola; President, Muslim Community of Lagos State, Prof Tajudeen Gbadamosi, among others. Over the past five years, the justices have not taken up a single case directly writing essay for graduate school involving a school district or local school officials, either as the party bringing an appeal to the court or as the respondent.